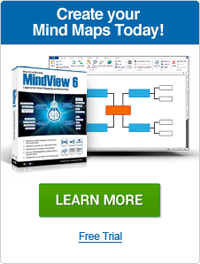 Applications for mind maps work in many settings in everyday life and business. Use them in any situation where problem solving or brainstorming is required. Mind maps are fun to do, and can be taught to younger family members as a creative way to solve problems or to organize thoughts. They are very useful as a starting point for pre-planning life goals. Students can utilize personal mind mapping for note taking in school and for studying complex concepts or issues. It is somewhat similar to diagramming sentence structure, except instead of a sentence, the diagram relates to a broad idea, problem, concept or keyword.